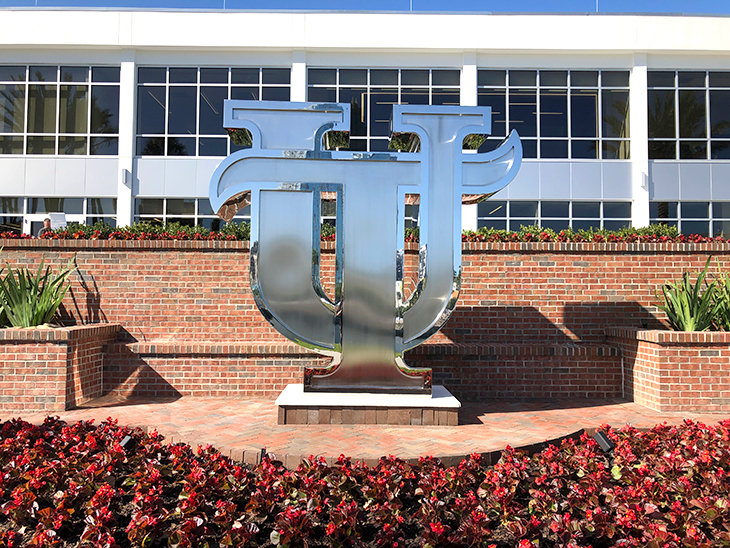 The University of Tampa Riverside Center, which underwent a total rebuilding, is now fully open and operational and set to enhance student academic and co-curricular needs, especially in academic areas and career success. The centerpiece of the riverfront plaza is a 9-foot interlocking UT sculpture, made entirely of a superior marine-grade stainless steel. Career Services, which helps students transition from college to career, incorporates spaces for placement services, including interviewing, corporate recruiter meetings, receptions, employer programs and numerous student programs to aid career exploration and job search. A glass entryway leads into a lobby equipped with a “genius bar” that allows for students to comfortably interact with career ambassadors and career assistants. 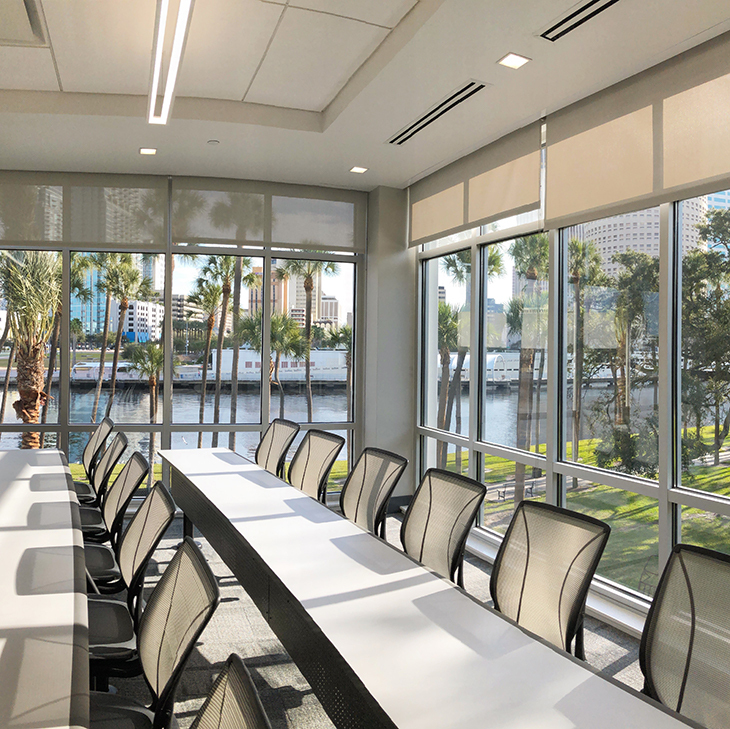 Several rooms are equipped with Polycom technology to allow for web-based student-employer interviews, and an adjacent multipurpose room opens onto a patio that overlooks the Hillsborough River. 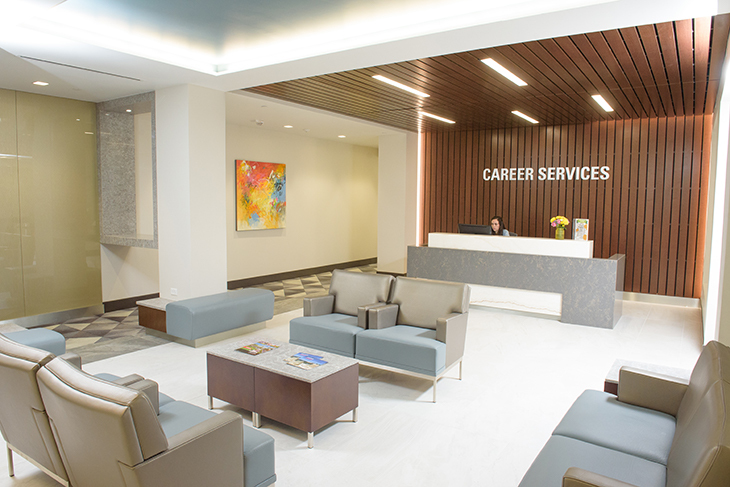 Career Services, which helps students transition from college to career, incorporates spaces for placement services, including interviewing, corporate recruiter meetings, receptions, employer programs and numerous student programs to aid career exploration and job search. Classrooms and conference spaces account for about 5,000 square feet of the additional square footage. The new building features 10 classrooms and conference rooms, which include two state-of-the-art language labs. All classrooms and conference rooms have the latest 4K display technology. The new building features 10 classrooms and conference rooms. The language lab now consists of two classrooms and spaces for language tutoring. The spaces were designed with collaboration in mind and incorporate a variety of resources, including language learning specific classroom management systems, mobile workstations and international broadcasts. UT’s post office “of the future” was totally redesigned and modernized to account for current and future trends in student use. Today, students do not receive significant amounts of first-class mail, but do receive numerous packages. The new Mail Services Center uses self-service lockers to pick up their packages, which students are notified about via email. UT’s post office “of the future” was totally redesigned and modernized to account for current and future trends in student use. The building also includes faculty offices to help keep pace with the rapid addition of new employee hires. The Office of Admissions’ presentation room was expanded, as was Admissions’ logistics space for managing communications with prospective students. 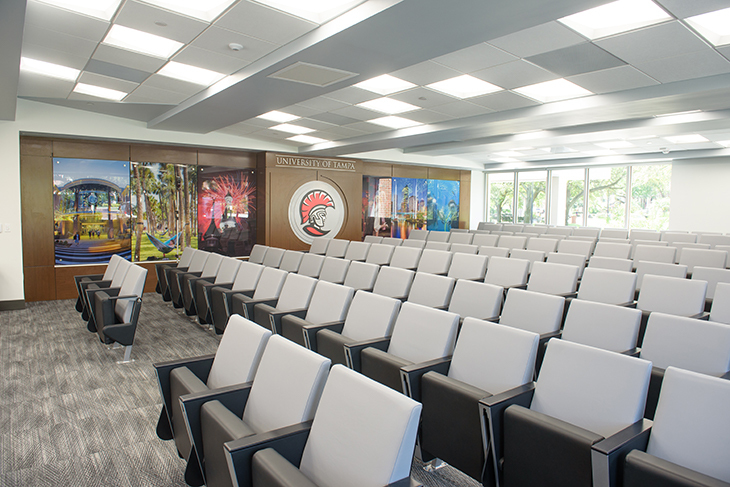 Development and University Relations, Human Resources, and Public Information and Publications also benefit from redesigned and expanded spaces. The Office of Admissions’ presentation room was expanded, as was Admissions’ logistics space for managing communications with prospective students. The building also features 60 pieces of art by abstract artist Audrey Phillips. Phillips has spent most of her life in Florida and received her BFA from the University of Florida. 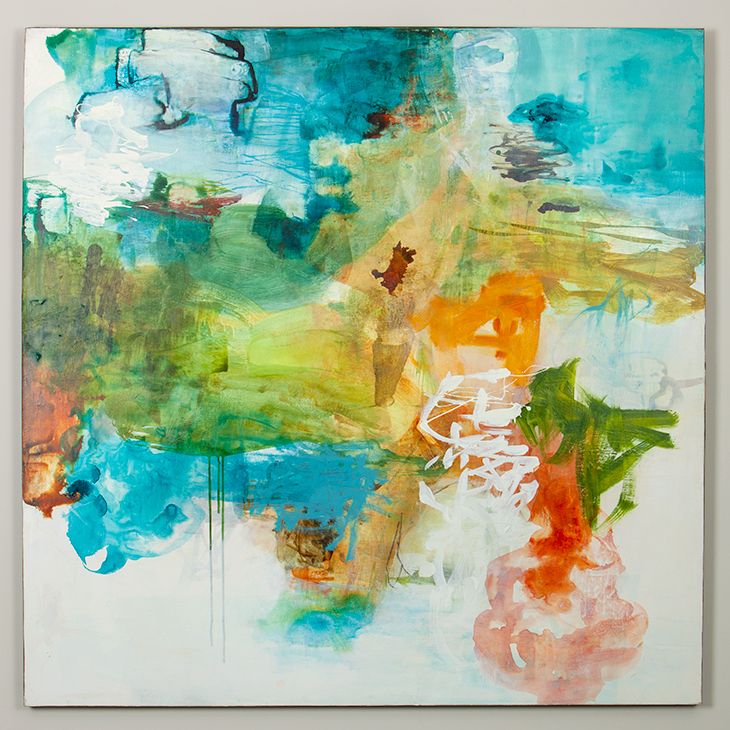 She has exhibited in solo and group shows in numerous states, and her work is in numerous corporate and private collections. The building also features 60 pieces of art by abstract artist Audrey Phillips. The rebuilding is also enhanced by landscaping, new sidewalks and outdoor, riverfront seating on a large plaza facing the river. The centerpiece of the plaza is a 9-foot interlocking UT sculpture, made entirely of a superior marine-grade stainless steel. The sculpture, which is lit at night, was fabricated by Sarasota-based creator Scott Hamblin of The Resource Factory. The rebuilding is also enhanced by landscaping, new sidewalks and outdoor, riverfront seating on a large plaza facing the river. The new building has been renamed the Southard Family Building after an alumni couple, UT student parents and longtime UT supporters – Mike and Amy Southard. 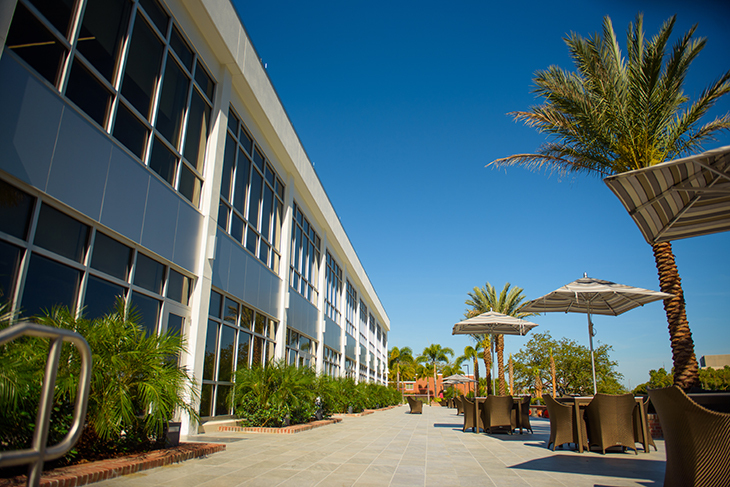 This construction project comes at a time of tremendous momentum for The University of Tampa. UT continues with record enrollments, numerous campus construction projects completed and external recognitions of the University’s success are at an all-time high.